Albuquerque-based African-American vocalists, Natalie Barrens and Richard "Josef Scott" Powdrell, with pianist Tzu Feng Liu, pay homage to the music of African-American composers. 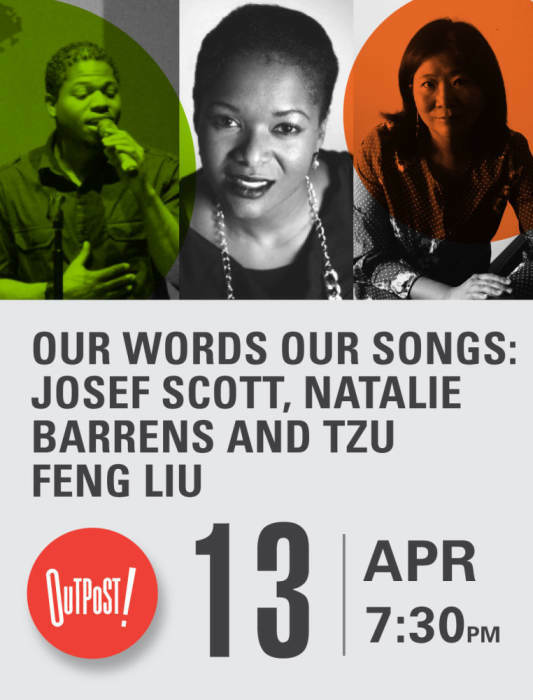 Albuquerque-based African American vocalists, Natalie Barrens and Richard "Josef Scott" Powdrell, accompanied by pianist Tzu Feng Liu, pay homage to the music, and, in particular, the art songs of African-American composers. Rediscovering the rich legacy of the African American tradition, it's a unique musical journey featuring captivating lyrics, soulful arrangements and thought provoking tales. The program, which will open with three pieces performed by pianist Tzu Feng Liu, includes works of William Grant Still, Undine Moore, H. Leslie Adams, Cecil Cohen, and Margaret Bonds. Soprano Natalie Barrens is an Albuquerque native who received her Bachelor's Degree in Music from Southern Methodist University and a Masters from The City University of New York's Brooklyn College Conservatory of Music. A founding member of The 7 Sopranos, she appeared with the Opus 40 Ensemble in Washington, DC and has been a featured soloist in Mozart's Requiem, Mendelssohn's Elijah, Handel's Messiah among others. She is currently a soloist with the New Mexico Symphony Chorus (NMSC). Josef Scott, also an Albuquerque native, was the featured soloist at NMSC's "The 2018 Songs of Summer Night Musicale" and has been a member of the chorus for the last two years. A vocal student of Marilyn Bernard, who will preside over the event as Mistress of Ceremonies, and he is also one of the founding members of the Afro-Punk band Citizens of Tape City. Musical Director, Marilyn Bernard is a retired soprano who was a featured soloist with the NM Symphony Chorus for over 20 years.